This is the mantra for #GlobalMakerDay. Today is the day to create, make, and share work globally. 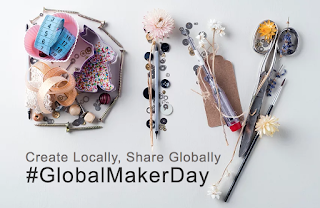 I commend the organizers of #GlobalMakerDay for their 21st Century initiative to focus on "starting a global flame to build innovative students who solve problems, push boundaries, and MAKE!" All of my making/creating is connected to literacy. I have been designing and curating global galleries of artistic expressions for several years. 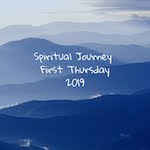 In addition, I have encouraged adults and students around the globe to create digital compositions and let their voices rise to spread their perspectives on each season. 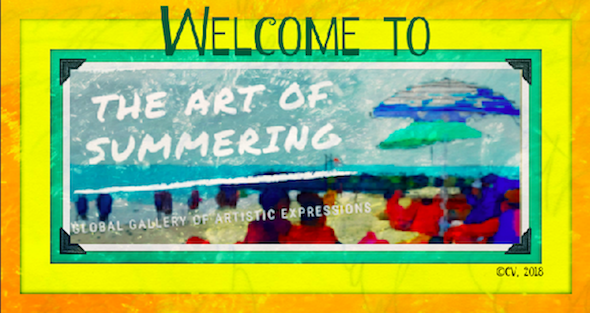 My latest gallery, #TheArtofSummering applauding the wonder and beauty of summertime, was recently unveiled. Today, Fred Harwood, a colleague in British Columbia, asked if the Twitter group sharing book covers would be interested in writing a spine poem. I was staring at my stack of reading and realized that I could create a spine poem quite easily with the titles I had. All I needed to do was to rearrange the spines so that the titles would blend into a poem. The photo of the spine poem incorporated into a Buncee creation can be seen below. I had fun creating the spine poem and embedding it on my Buncee. You may be interested in viewing the video of children "making" during Global Maker Day. The video at the #GlobalMakerDay site illustrates the joy of "making" that fills the classroom's space with glee. Last week's Buncee on Ona Octopus is also an example of making in my literacy style. Perhaps some of my friends at Two Writing Teachers would be interested in having their students create to make literacy come alive.